The shorts, the drawers and of course, the feature! So that's where you all fit in! To help keep DOSEY a cool, edgy franchise for us all to have, not for some stuffy, industry folks to water down, and sparkle up. 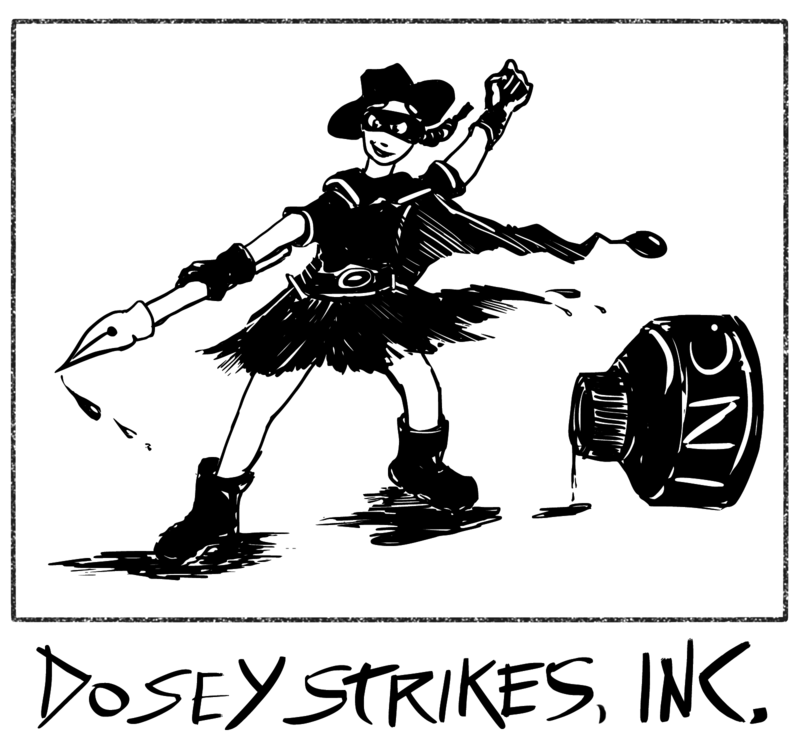 Currently we are focusing on a number of short, comedic films, all based on the various characters from the DOSEY feature, such as Launy, Phoenix, The Zorilla Bros., and of course Conners and Dosey, all to be featured on our Youtube channel, DoseyTV. Furthermore, we'll be working on a prequel storyline in video game/interactive comic book format, to coincide with the release of the film, as well as plenty of delightful tshatshkes, such as trading cards, stickers, t-shirts, totes, and that's all just scratching the surface. Just wait until we're able to open DoseyTown USA in the heart of Times Square NYC… but that may be a silly old pipe dream, one step at a time. So needless to say, your help is always greatly appreciated, whether it be monetarily, by simply clicking the Donate Button below, or creatively, by sending us a message under our contact page. But honestly, just having you all here in the first place is a tremendous mitzvah, one in which we drink copious amounts of rye to every single night before tucking ourselves in; it should go without saying that DOSEY would be nothing without all of you fine folks to muse over her crazy, yet, somewhat lovable antics. And in this house live five wicked boys... For best results, please view the site in a recent browser, ideally Safari or Chrome. Copyright MMXIII, Dosey Strikes, Inc. All Rights Resrved.